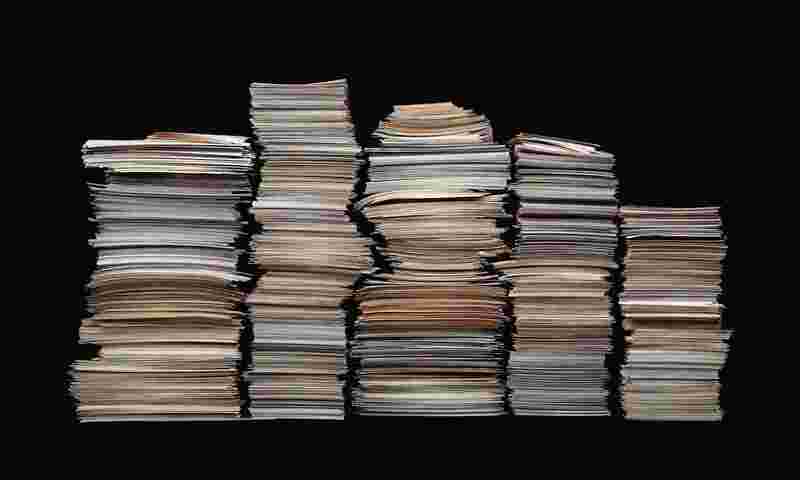 Your drivers complete an enormous amount of paperwork. A single driver may fill out several Driver Vehicle Inspection Reports (DVIRs) every day: one for each different vehicle, trailer or piece of equipment they operate. Multiply that by the number of drivers and the number of working days in the year, and you begin to imagine the piles of paper and hundreds of hours spent filing DVIRs. The FMCSA’s three signature requirement further complicates the DVIR process - paperwork is easily misplaced or destroyed, resulting in confusion among teams and increased risk of violation. This is where drivers complete and submit DVIRs. It’s faster and easier to use than paper DVIR, saving drivers precious time. It’s included with every Samsara subscription, works on any iOS and Android device, and also enables HOS logs and dispatching. The central hub for maintenance teams. DVIRs instantly appear in Samsara Maintenance, and sit alongside preventive maintenance schedules, maintenance logs, and real-time vehicle statuses. It’s easy for drivers to transition from paper to Samsara DVIR. It contains fields that drivers already fill out today, along with simple functions like walkaround image capture and single-click digital signatures. Drivers simply note any issues, mark if the vehicle is safe to drive, and sign the report. It takes seconds, and the report appears instantly in Samsara Maintenance. Mechanics see their fleet’s DVIRs in Samsara Maintenance, and they prioritize the most urgent issues. After fixing an issue, they sign the DVIR to verify the vehicle is safe to operate. The next driver of the vehicle confirms the issue was corrected and signs the DVIR, completing the FMCSA signature requirement. NECO Transport , an international fuel distributor, uses Samsara DVIR and has seen a significant decrease in paperwork. Before Samsara they were printing and sending paper records to their maintenance vendor, which was cumbersome for drivers, back-office staff, and the vendor. The FMCSA’s DVIR requirement requires all information to be clearly recorded and stored for three months. 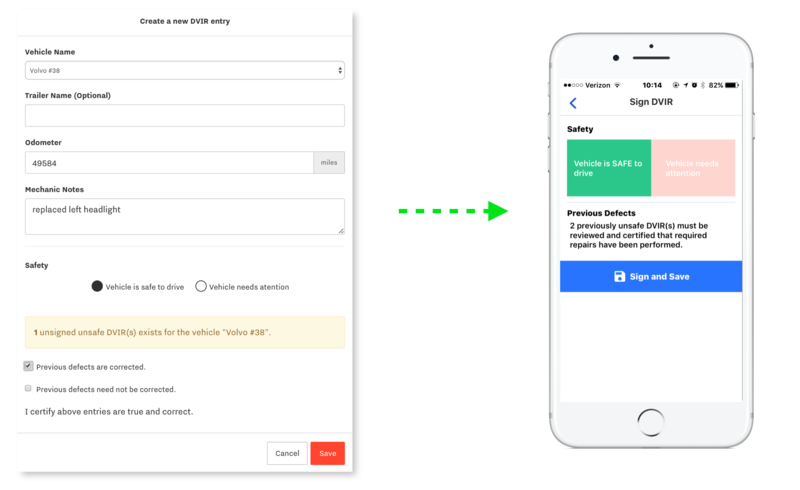 Samsara DVIR ensures inspection reports and signatures are easy to read and don’t get lost between drivers, mechanics, and managers. The reports are stored in the secure Samara Cloud, and are ready in the event of an audit. With the Driver App drivers have everything they need to complete inspections. No more searching for the right form or filing it post-inspection – they just open the app, record findings, and submit. When NECO’s drivers complete a DVIR the report is instantly visible to the mechanic. The mechanic sees the details along with walkaround photos, which speeds up their investigation. The vendor prepares for the incoming vehicle and orders parts beforehand, shortening repair time. 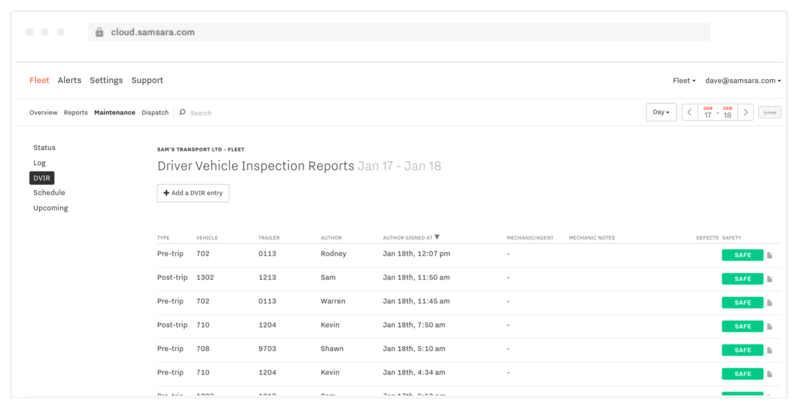 Samsara Maintenance centralizes DVIR, engine faults, and maintenance logs, so fleet managers, mechanics, and drivers are always on the same page. The Samsara Driver App works on iOS or Android devices – no special hardware is required. Samsara DVIR is part of Samsara’s complete solution to streamline fleet tracking. New DVIR functionality is rolling out to customers beginning today. 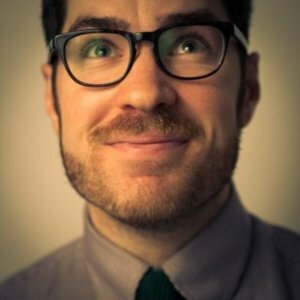 Get in touch to request a free trial.